When searching for an online casino, many players look for specific traits, including many game choices, support for mobile devices, live casino games, and a loyalty rewards program. All these characteristics can be found when you join Sunset Spins Casino. The online casino is relatively new, having been introduced just this 2017. Even though it is new in the industry, the website has acquired several players and fans from around the world. Gamers who are interested in playing casino games, including slots, can access Sunset Spins directly at its official website. You don’t need to download the games to start playing. Just use your desktop or mobile browser and head to sunsetspins.com. From there, you can create an account and begin wagering. It is important though that you meet the location requirements since some countries are not accepted, including Italy and the United States. The site can be translated into different languages, including Swedish, German and Norwegian. It operates under the Nektan Limited Casinos and has acquired licences from the Gibraltar Regulatory Authority and the UK Gambling Commission. 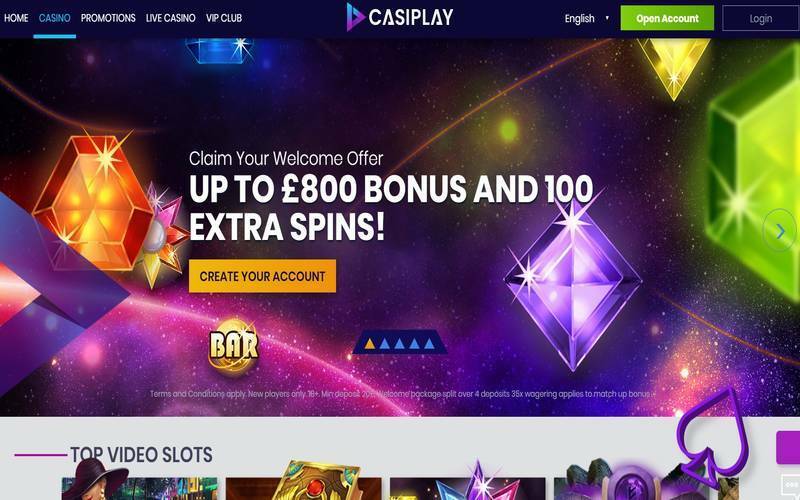 As a regular casino player, you most probably want a website that offers you with plenty of choices when it comes to the games. Sunset Spins has one of the biggest numbers of games around with more than 600 for desktop users and over 590 for mobile users. There are also a total of 25 live dealer games on the site. You will never run out of options here, which is why many players come here regularly to try out different games. Some of the software developers on the site include the big names, such as NetEnt, NextGen, Microgaming, and ELK Studios. When you sign up, you have the chance to get up to 100% of the welcome bonus. To be eligible, you need to make a deposit first. 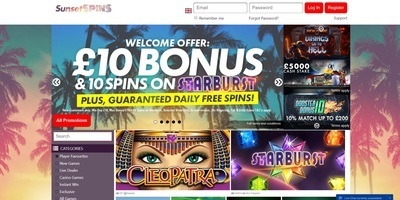 You can get up to £10 and 10 spins for free, which you can use on the slots game Starburst. The wagering requirement for the bonus is 30 times. Unfortunately, there is no cash back offer yet but rest assured that the casino is looking for more ways to add great rewards to their loyal patrons. New and old players need to deposit at least £10 to maintain their accounts. The amount can be used in wagering on various games on Sunset Spins Casino. You can deposit using UK PayPal, Skrill, Paysafecard, and Neteller among others. If you want to withdraw your winnings, you can use your bank account, Paysafecard, and Neteller among the many options. Currently, it is reported that the customers wait up to 24 hours before they can claim their prizes. Compared to other sites out there, the wait is not too long. In fact, it is much quicker these days since most websites require the players to wait at least 48 to 72 hours, with some needing several weeks to process the withdrawals. Another great thing about Sunset Spins Casino is that withdrawals do not have limits. The website of Sunset Spins Casino looks simple but it has a certain appeal that you cannot deny. With the huge collection of games, you will get hooked easily the moment you start playing. If you are looking for casino entertainment, Sunset Spins is one of the best websites to play your favourite slots games online.